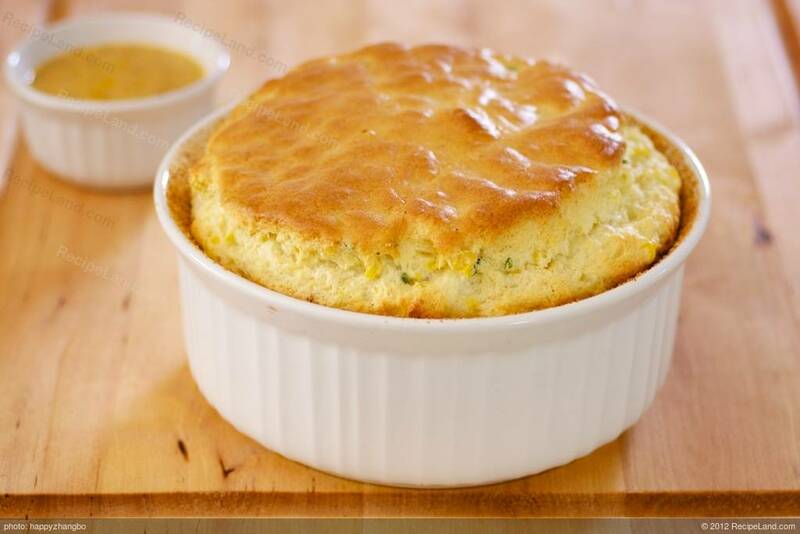 Coat the bottom and sides of a round 2 quart souffle dish with butter. Melt the butter in a medium sized saucepan over medium heat. Add the onion and garlic and saute until tender, about 3 minutes. Stir in the corn, salt, pepper, the paprika and cayenne pepper. Saute for an additional minute. Add the flour and stir until it becomes light blonde in color, about 2 more minutes. Add the Half & Half and whisk until the mixture becomes smooth and thick. Temper the eggs into the corn mixture and then stir in the cheese. Pour the mixture into the buttered souffle dish. Bake for 35 minutes or until bubbly.